The first full day in Yatta was a busy one. We had 3 meetings in Hebron to get acquainted with agencies that may be able to provide assistance to villages re: agricultural help, rebuilding and, most importantly, adequate water supply. We then had lunch and also saw the closed Al-Shuhada Street. At 3 p.m. we went to the Fawwar Camp. This has been a refugee camp since 1949 and has about 9500 inhabitants which makes it one of the smaller camps. 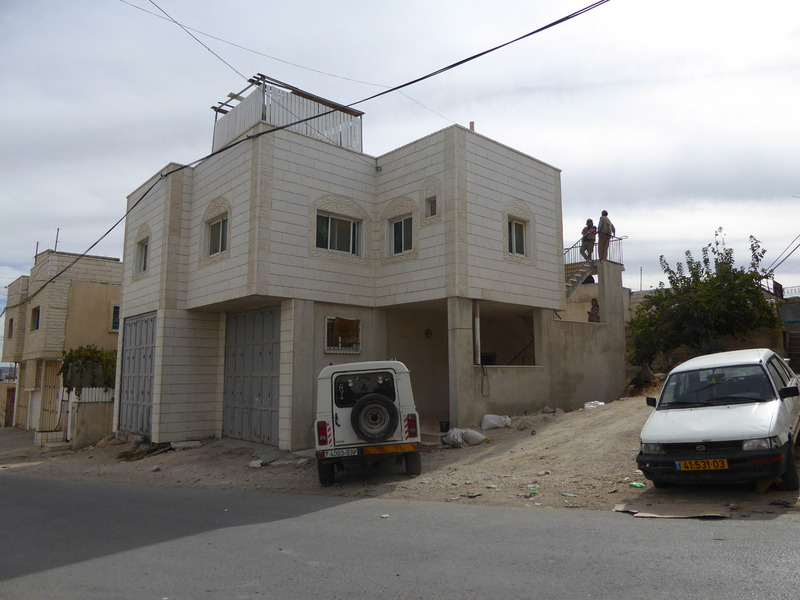 In August, the soldiers from the IDF (Israeli Defense Forces) raided a home and the people heard a shot. The soldiers left and then the people saw that their 12-yr-old son had been shot in the lower back. He died. We talked to the mother, uncle and grandfather. We are to follow up to make sure the investigation into the incident is not dropped. See news article. Poster showing body of Khalil Muhammad Ahmad al-Anati on a wall outside his parent’s home. Later our driver took us to the village of Urn al Amad. However there is only one home left in front of the Israeli Ot’niel settlement.The home belongs to a shepherd and we will at times be with him to protect him from settlers. We also took pictures and noticed that there was activity further down the hill indicating that the settlers may be taking more land. This we will report to the UNOCHA. Posted on October 22, 2014, in October. Bookmark the permalink. Leave a comment.